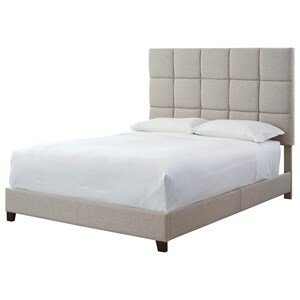 Simple channel tufting offers modern style to this upholstered bed with a low-profile footboard. 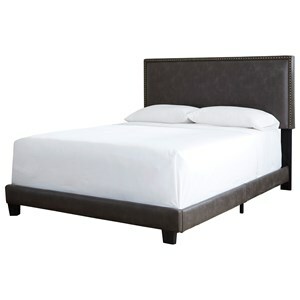 The gray fabric is a great neutral that will become a focal point in your bedroom. 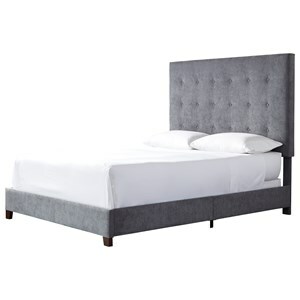 The Dolante Queen Upholstered Bed with Channel Tufting & Gray Fabric by Signature Design by Ashley at VanDrie Home Furnishings in the Cadillac, Traverse City, Big Rapids, Houghton Lake and Northern Michigan area. Product availability may vary. Contact us for the most current availability on this product. 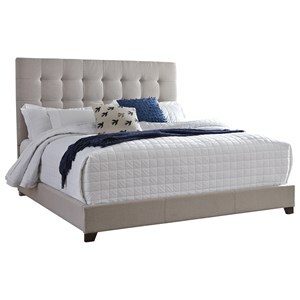 Browse other items in the Dolante collection from VanDrie Home Furnishings in the Cadillac, Traverse City, Big Rapids, Houghton Lake and Northern Michigan area.